For the upcoming International CES consumer technology show in Las Vegas, Nordic Semiconductor will be outfitting world champion Chess player, Magnus Carlsen, and 20 opponents with wireless heart rate monitors for a simultaneous Chess game demonstration. Sure it’s a celebrity publicity stunt to promote the company’s low-energy Bluetooth components. 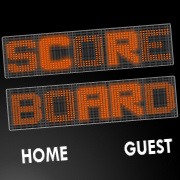 But I also think it’d be quite interesting to watch Carlsen and opponents’ heart rates as the games progress. 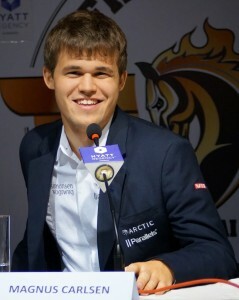 Carlsen is known for looking relaxed even during the most important or intense of games. A heart rate monitor will tell observers if his outer appearance honestly reflects his internal state. Imagine the possibility of seeing Carlsen’s heart rate jump after one of the other players’ moves. See, this is how to attract geeks to your booth.